I can’t help but feel that something went wrong. Everything fell apart before our very eyes and there was NOTHING we could do about it. 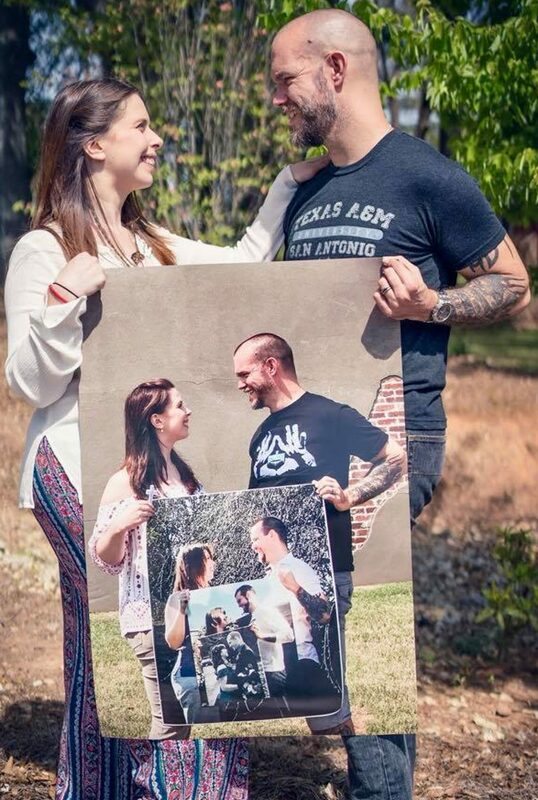 I have held off from blogging because I have had no words until now! My name is Laura and this paragraph above sums up the last 12 months of my life. I am a rainbow mama twice over, I am a breast cancer warrior, I am here and present…. And I really couldn’t tell you how I am still standing. I feel like the Black Knight in Monty Python and The Holy Grail. You can strike every limb off of me and I would still say ‘tis but a scratch! But I don’t want to be this person! I would love to have a nice, steady, quiet life, but life has different ideas. And we are ok with it. We have to be, because there is no other way to be. Grief has engulfed us, and it’s not just for Meisee that Haydn and I mourn, but also everything else we have had to sacrifice along this path. But we keep going and will continue to do so. I’ve lost a lot of my passion for music – well at least for teaching it. Some of my students were fab, but I know I no longer want to be pulling 50 hour teaching weeks like I was in the UK. It drained me! So with our new adventure starting in America, I thought it was high time to express myself creatively via art class – and I’m so glad I did! I met some lovely ladies on the course, all with different backgrounds and ideas for their projects. 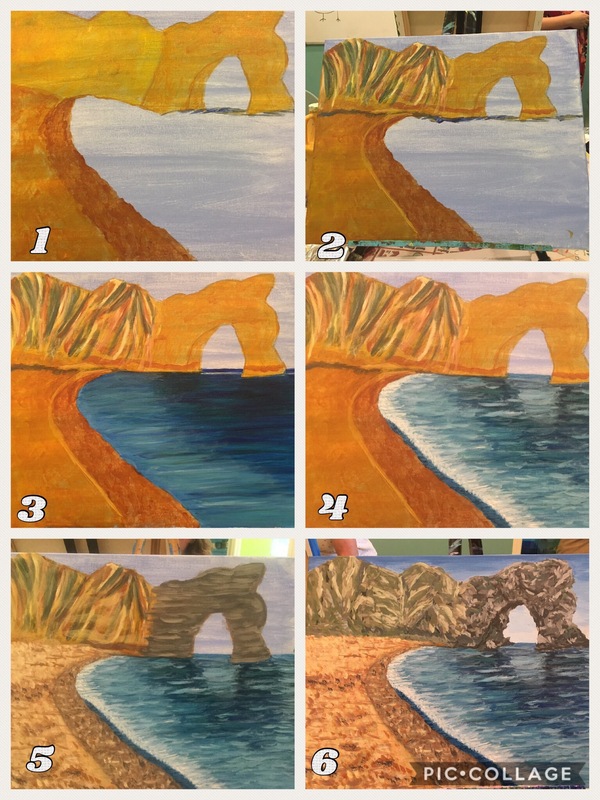 Over a seven week course we would start to bond over brushes and canvases, and it was marvellous. Our teacher, Emma helped us with all the little challenges we faced and gave me the confidence to put those colours on. 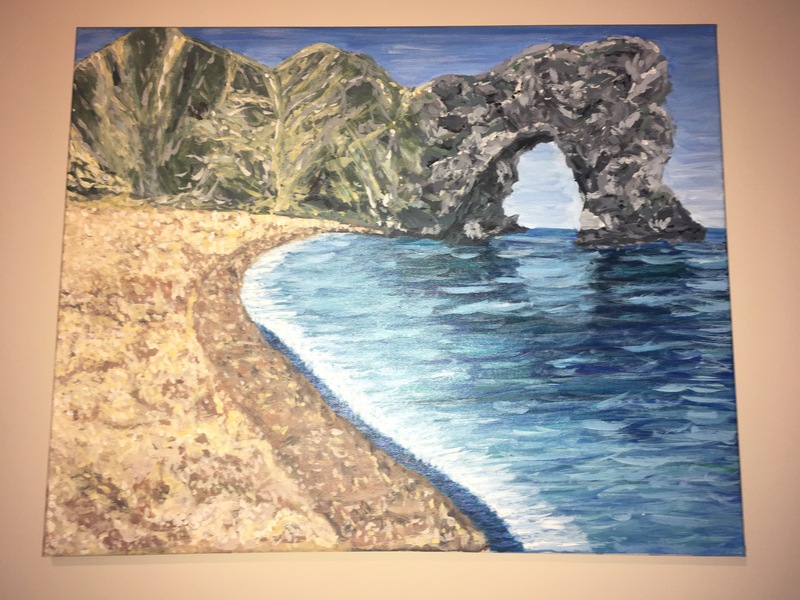 Here is my finished project- Durdle Door from the Jurassic Coast in Dorset, England. I used acrylic paints. The value of art as a therapy is second to none. It really helped me deal with a lot of the raw grief I experienced from our loss of Rey and relit my passion for creating. Whilst we don’t have a huge income, I’ve taken up sketching in the mean time. I haven’t done “art stuff” since I was 16, and I am so glad to have rediscovered this vent for creativity! Maybe this is something I should have kept up a long time ago and should keep doing for a long time to come! No political opinions are in this blog! I’ve voted. I’ve voted in the UK election from over the ocean. I’ve voted because I have the right to vote thanks to efforts of the suffragettes 104 odd years ago. I remember as a 10 year old learning about the sacrifices these women made in order to give us future generations a say in politics. It resonated so deeply with me, that I have voted since I was old enough. In fact it was 104 years ago to this very day that Emily Davidson died fighting for the women’s vote. After the brexit vote, I was astonished to hear that so few of the population had taken the opportunity – and there were many people I knew! And many had the excuse of “I couldn’t find the time, I was too busy, I was working”. Gaaaaaaahhhhh! So with this thought in mind, I want to highlight to people that they can vote by proxy – it’s easy! You nominate someone else you trust to cast your vote in the way you see fit. You can sort it on your phone! You don’t have to even leave the house! You don’t even need to leave the couch! We had to sort out ours a few weeks back, but we did it. SO SORT IT NOW! In the words of the Beastie Boys, “You’ve gotta fight for your Right!” Now Go and Vote! One Friday, we abandoned date night for some prime time with our genders! Haydn went on a lads dinner out, I went for my first night out with the ladies affectionately known as the ThunderDames! So the title kind of makes us sound like a bunch of warrior super heroes to me, but the name in fact has origins of a completely different nature. The Thunder Dome is a hub in Atlanta for up and coming film directors and editors alike, where this little clan of guys live, work and breathe film 24/7 with every intention of bettering themselves so they can get further in their careers. The place has been alive now for quite a few years and the men eventually got girlfriends and wives, but still held a strong relationship with the Thunder Dome and the new generations coming through its doors. The ladies would come along to these events and could see the commeraderie of the brotherhood, so the idea was thrown about of the possibility of having a sisterhood evening every so often. And there the Thunder Dames idea was born! My lovely friend, Lanae hosted the evening with around 8 of us attending. We had plenty of pizza, snacks and wine to go around in this makeshift cinema. The conversation was flowing and it was refreshing to discuss the arts and life in general with new faces. 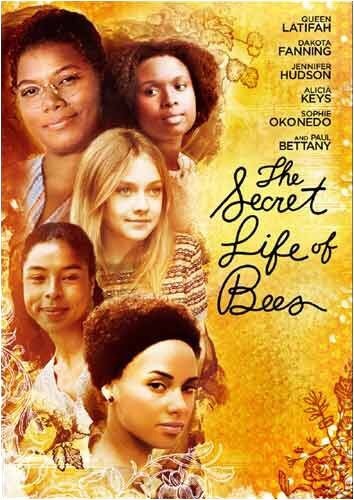 This first official night focused on a film called the Secret Life of Bees. I assumed this would be a documentary with a title like that…but it wasn’t in the slightest! The film focused on a girl (Lily) who accidentally killed her mother when she was 4. She struggles with the guilt and decides to run away to a honey producers. I’m not going to give you the whole synopsis, but so you have get the concept, it takes you through her life and emotional struggles as she strives to be a stronger woman. This notion resonated deeply with me, as being strong is something I feel I must be a lot of the time. The film shows that regardless of how strong a woman you feel you must be, you don’t have to hold back your emotions, you can be open, you can talk, you can cry you can release and should be able to feel safe in showing this side. I do this most days, and I always feel better for doing it! I really recommend you watching the film or buying the book, as it is so powerful and has a really sweet message. We all cried! I loved that at the end we discussed at length how in some way at least one of the characters resonated with us personally, and that it felt comforting to observe how they handled the situations. The characters have fine individual stories which bind them together in the most unlikely of ways and you can certainly find one that you can relate to as well!